The newly-employed health workers of the Comprehensive Cottage Hospital, Otuoke have been charged to be alive to their responsibilities in order to improve health care delivery in the state. The Bayelsa State Commissioner of Health, Dr. Ayibatonye Owei gave the charge when he visited the Hospital as part of his health facilities tour across the state. According to the commissioner, the concern of the ministry is to ensure that workers do their work effectively under a conducive environment, adding that it was through the magnanimity of the State Governor, Hon. Seriake Dickson and that of the Minister of Health that they were employed. Dr. Owei said the new workers were going through a transition period, pointing out that they would be catered for by both the state and the Federal Ministry of Health. The commissioner assured that the state government, through the state Ministry of Health, would ensure that everything is done to make the staff of the Hospital comfortable during the period of the transition. 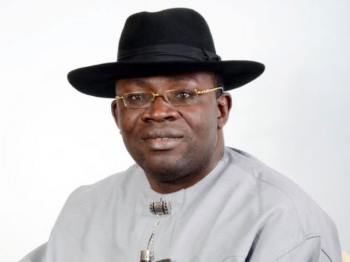 He said the Bayelsa State Government would be responsible for the salaries and allowances of the staff between October and December this year, while the Federal Ministry of Health will take over from January, 2015. Dr. Owei urged the staff to be patient and dedicated to their duties at all times. In his remark, the Chief Medical Director (CMD) of the Federal Medical Centre (FMC), Yenagoa, Dr. Ebitimi Etebu said the staff have been engaged under a special arrangement, adding that the whole exercise is to ensure the creation of jobs for the people. Dr. Etebu said in the meantime staff of the Comprehensive Cottage Hospital, Otuoke would be shuttling between the Federal Medical Centre in Yenagoa and the Comprehensive Cottage Hospital, adding that the essence of such an arrangement is to enable them gain on-the-job experience, quickly. Responding on behalf of the newly recruited staff of the Hospital, Dr. Wilcox Izibeya expressed appreciation to the Government of Bayelsa State and the Federal Government for their magnanimity and assured that they would put in their very best in the discharge of their duties.